Jamming With Waters – Setlist Revealed! 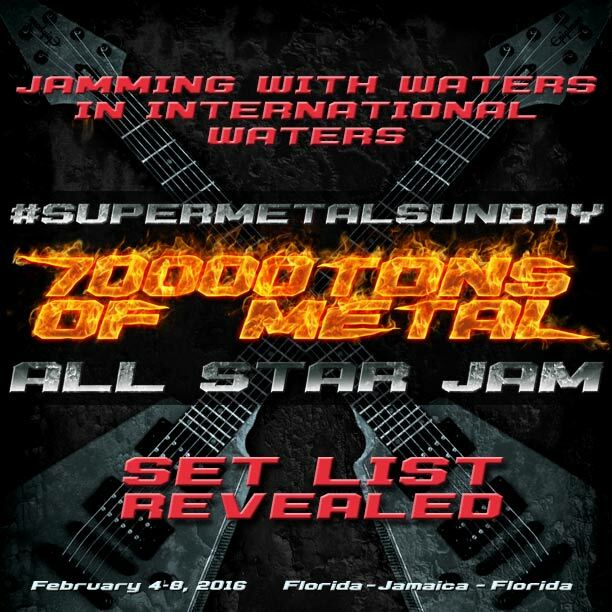 Hosted by Jeff Waters of ANNIHILATOR, the official 70000TONS OF METAL All Star Jam will once again write Heavy Metal History on board The World’s Biggest Heavy Metal Cruise when a spectacular line up of musicians from your favourite bands on board team up to perform classic Metal Anthems for you! Click Here to see the full 2016 All Star Jam Setlist! ← 70000TONS OF METAL 2016 IS SOLD OUT!